Can I pay for migration using PayPro system? Yes, you can use PayPro to pay for your migration. 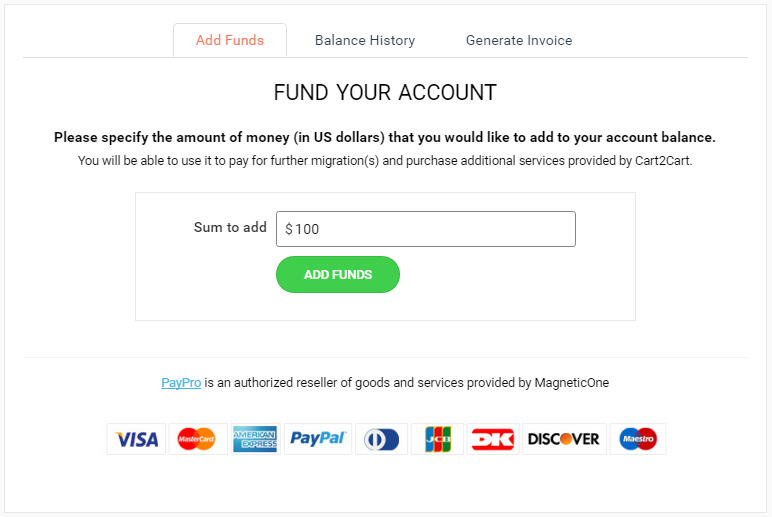 Simply log in to your Cart2Cart account and open the Add Funds menu. Then, enter the amount of money you’d like to add and click on the Add Funds button. If there still are some questions, please feel free to contact our Support Team.